Ernest Dominic Capers (born August 7, 1950) is an American football coach working as a defensive assistant for the Jacksonville Jaguars of the National Football League. Capers served as the head coach for the National Football League (NFL)'s Carolina Panthers from 1995 to 1998 and for the Houston Texans from 2002 to 2005 during both teams' first years in the league. He is the only individual to serve two different NFL expansion teams as their inaugural head coach. Capers has also served as an assistant coach, most prominently as the defensive coordinator of the Green Bay Packers from 2009 to 2017, with whom he helped win a Super Bowl title in XLV. He began his coaching career as a graduate assistant at Kent State University and the University of Washington. Later he was an assistant coach at Hawaii, San Jose State, University of California, Berkeley, Tennessee, and Ohio State. 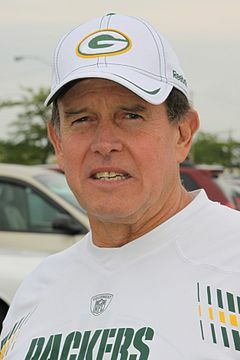 On January 19, 2009, Capers was named the Green Bay Packers defensive coordinator by head coach Mike McCarthy and general manager Ted Thompson, where he replaced the 4-3 defense Green Bay had used since 1992 with the 3-4 he used in Miami. Green Bay's defensive ranking in his first year improved to second in the league in 2009, from 21st in the league in 2008. On February 19, 2019, the Jacksonville Jaguars announced that Capers will join their coaching staf as a senior defensive assistant.